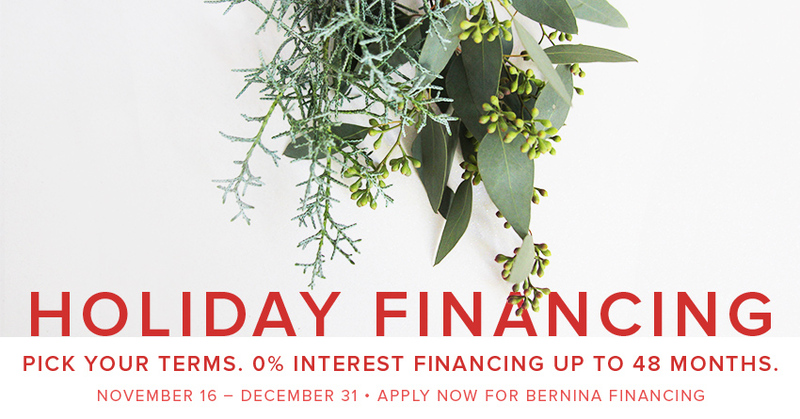 0% interest for 48 months on all BERNINA purchases $3,000 or more made with your BERNINA Credit Card. November 16 – December 31, 2018. 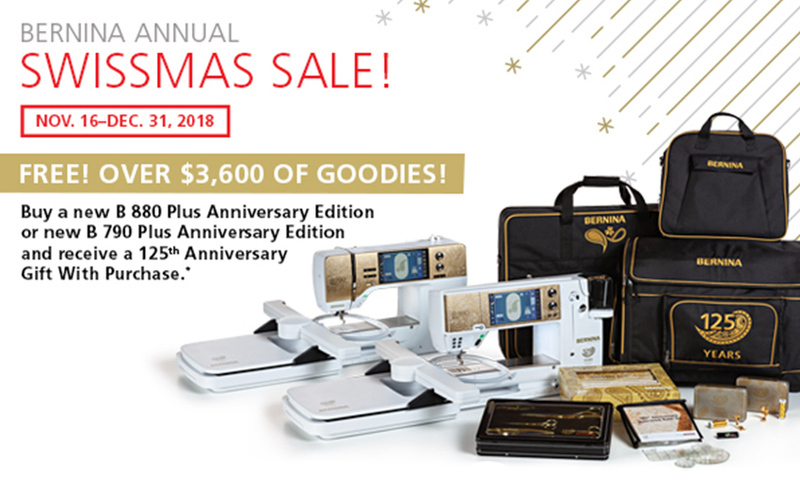 Purchase a B 880 PLUS Anniversary Edition or B 790 PLUS Anniversary Edition and receive over $3,600 of goodies FREE! Purchase a B 770 Anniversary Edition and take home a $2300 bundle FREE! Save $2,000 on a Koala cabinet! 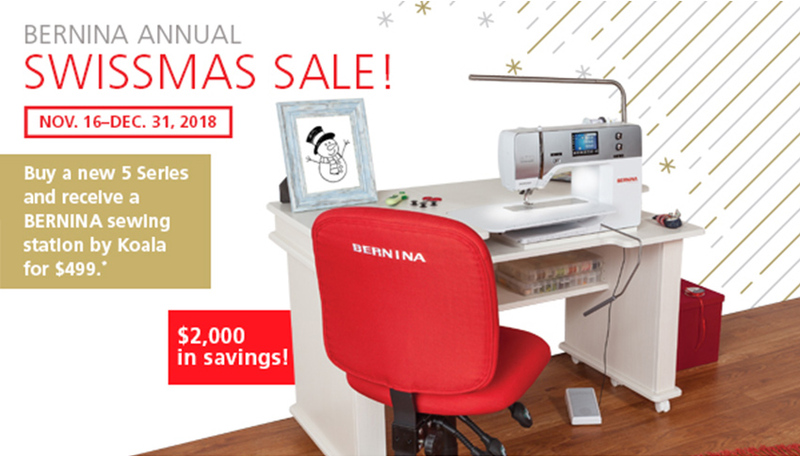 Purchase a new 5 Series BERNINA and receive a BERNINA Sewing Station for $499. 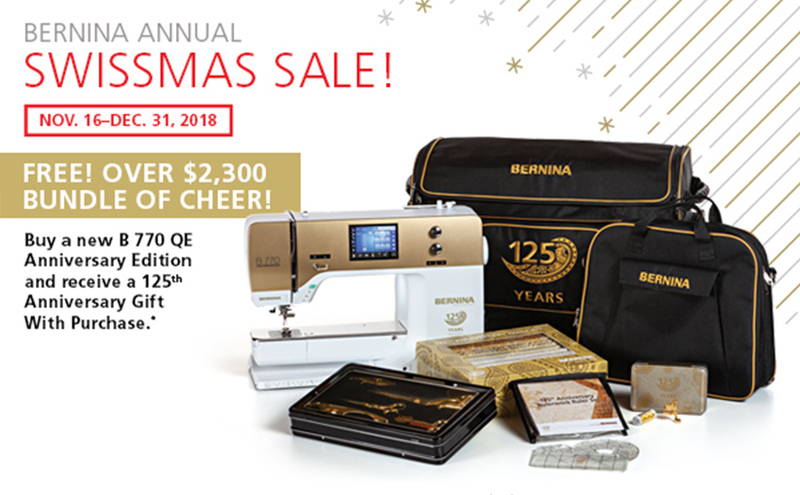 Purchase a new Q20/Q24 Longarm (sit-down or frame) and receive a FREE Longer Quilt Kit ($1198 value). On all BERNINA purchases of $3,000 or more made with your BERNINA Credit Card. 60 Equal Monthly Payments Required. 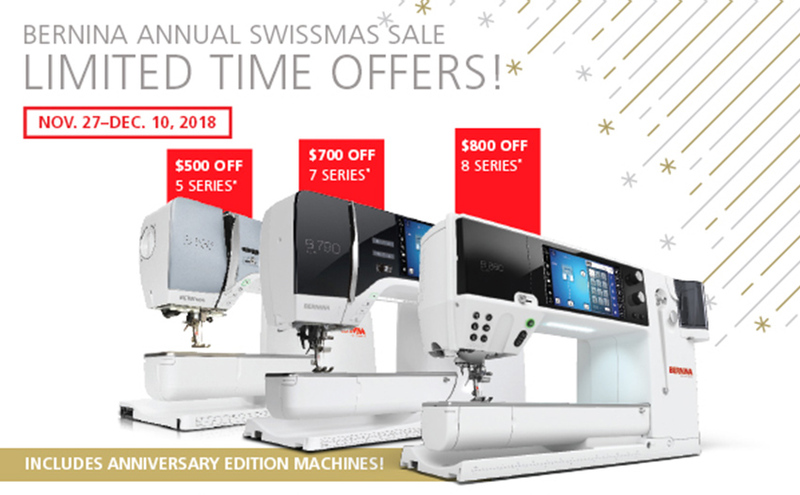 Upcoming machine promotions are all available for pre-order. Contact us to pay in advance and reserve your machine at its special holiday price. 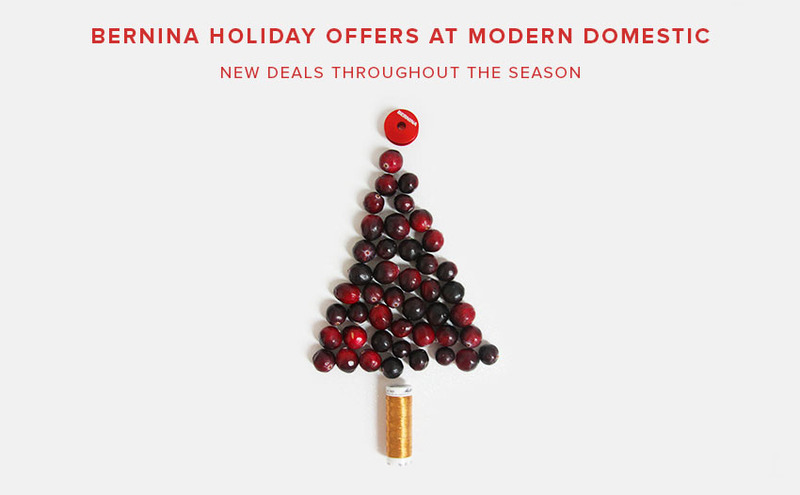 A Very Special Limited Time Offer! Instant Savings! 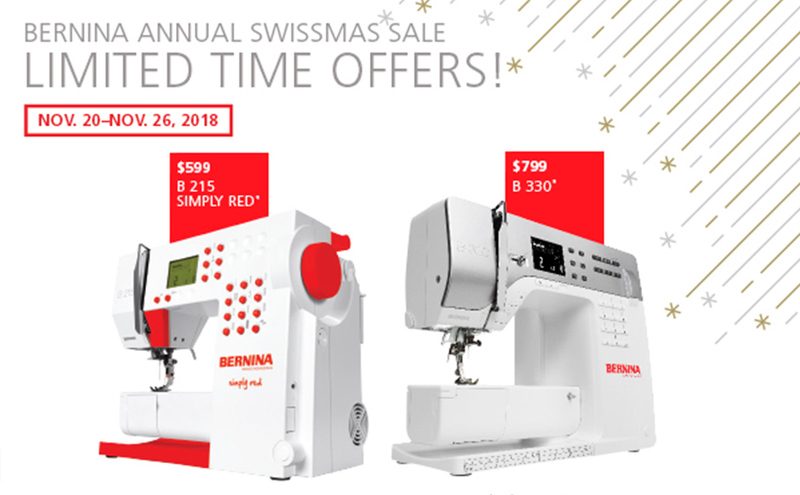 Up to $800 off BERNINA! 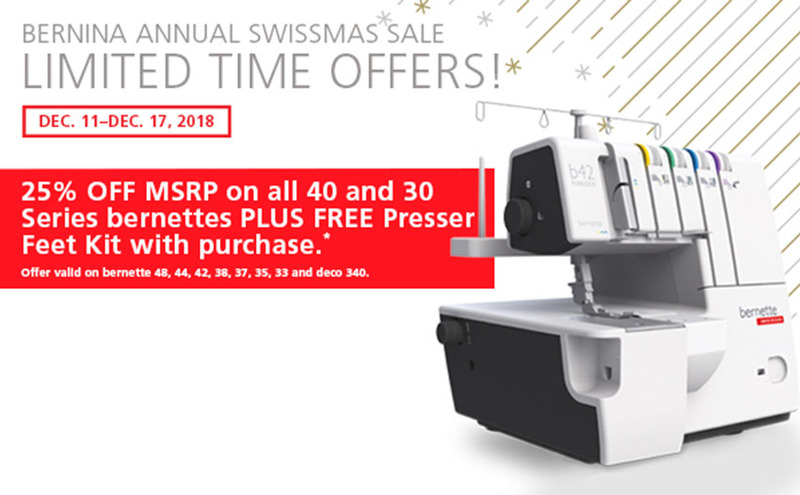 All bernettes 25% off MSRP starting at $125. 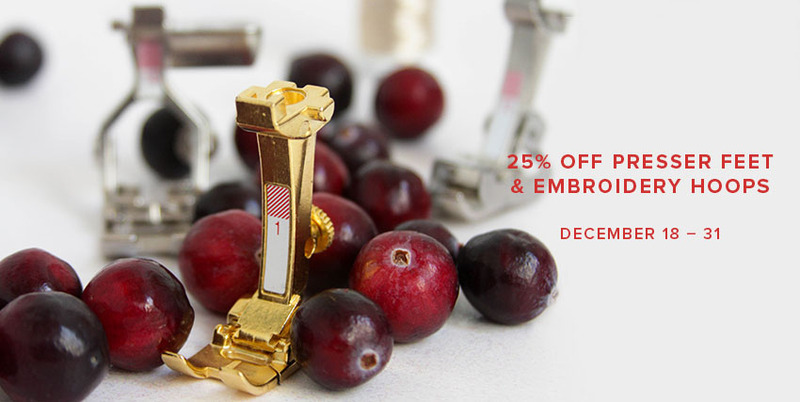 PLUS a FREE presser foot kit with purchase.